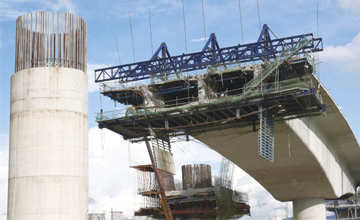 Keeping your construction enterprise proﬁtable requires professionals with the technical expertise and business acumen to accomplish complex job tasks on time and under budget. Finding these individuals simply consumes too much of your organization’s time and resources, so you need a search firm with both a highly targeted, efficient search program, and a comprehensive understanding of the happenings in your industry. 50 years of cumulative construction recruiting experience, strongly-connected networks, and direct industry experience allow The Newport Group to develop effective human capital strategies for civil builders across the country, helping them improve their communities and better their enterprise. Our Heavy Civil Construction Recruiters have industry-specific experience and long-term, direct relationships with owners, decision makers and candidates throughout the industry. We stay active in the nation’s most prominent building associations, including The Associated General Contractors of America and The Association of Construction Inspectors. 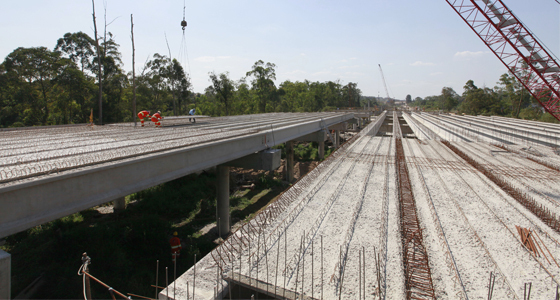 And we’ve worked with organizations serving every application of civil and infrastructure construction—heavy highway contractors, bridge builders, sewer and waterway contractors, geotechnical contractors, paving and grading companies, and marine contractors—all of whom trust that the individuals we identify and refer will meet, if not exceed their expectations. 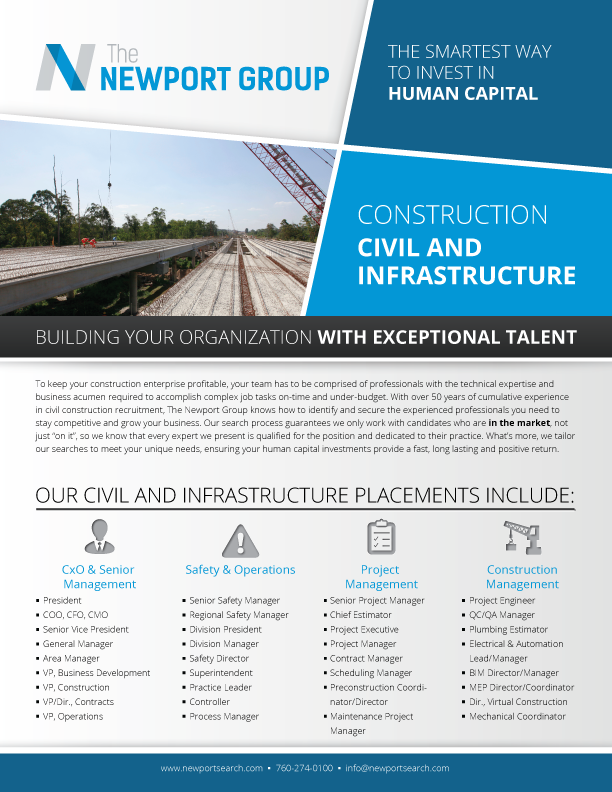 Learn more about the roles we’ve helped place for our heavy civil construction clients, and the cost-effective executive search program that sets us apart from other executive search firms, The SMART Search Process™ by downloading our digital Civil Construction Executive Search Overview. Click the button below or the image to download it now. Contact us now to have our Heavy Civil Construction Recruiters connect you with the right opportunity.